With uttermost disgust, IPOB debunks the recent unguarded, yet unauthorized pronouncements by Barrister Amobi Nzelu during the press briefing anchored by Nnamdi Kanu’s defence team on the 12th of August 2016 at Heartland Hotels, Abuja. As Biafra Writer’s live reporter at the conference, I observed with dismay, the glaring thirst of betrayal and greed over Barrister Nzelu who engaged some press men on political arguments in a way that is unseeming of the Indigenous People of Biafra (IPOB). 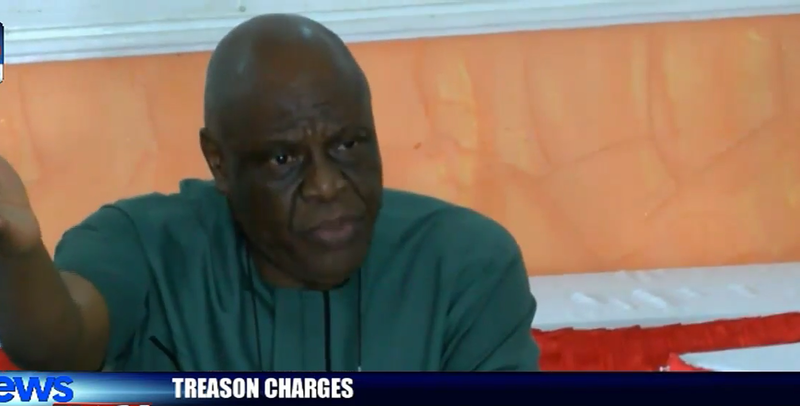 He later directed Barrister Ejiofor to attend to questions on legal matters while he would take on politically related matters –that was before the press briefing. He(Barr. NZelu) did not hesitate to grasp the minimal opportunity he had to launch his ignoble intentions, when a member of the press asked if Nnamdi Kanu will renounce Biafra. Barrister Nzelu in his response did not reaffirm Nnamdi Kanu’s stance on Biafra. He rather stated that “It is not easy to grow up with an ideology. Ideology requires constructive negotiations, and pentecostal persuasion to gulp an ideology. This issue of IPOB is more than Nnamdi Kanu. It is bigger than him. Therefore, they cannot say yes or no." He further preached that Nnamdi Kanu’s case is a political problem which requires a political solution. From the above statements, it became glaring that Barrister Nzelu Amobi, who was recently appointed to represent Benjamin Madubugwu, is nothing but a political jobber, whose aim is to tarnish the image of Nnamdi Kanu and and render IPOB's goal null and void. As a result of his shameful disposition and actions, the leader of the Indigenous People of Biafra, Nnamdi Kanu, who has never shown any sign of cowardice in the face of all adversity, did not waste any time in terminating his service, along with the others. This should serve as a deterrent to anybody who will conjure the thought of using Nnamdi Kanu's case for personal gains. Barrister Ifeanyi Ejiofor as of now remains the only lawyer representing Nnamdi Kanu, while the rest can now go back and inform their paymasters (Buhari, Okorocha, Dozie Ikedife et al) that they have failed. Nnamdi Kanu cannot give up Biafra, even if it takes away his life. His vow remains "It is either the flag of Biafra is raised up, or I am lowered into the grave." Aka chukwu di ya,otherwise, this agitation would have died a natural death. My spirit can't be wrong on this current struggle. Nnamdi means business. This time biafra must be free against all odds. Ekwensu na agba mgba na efu.